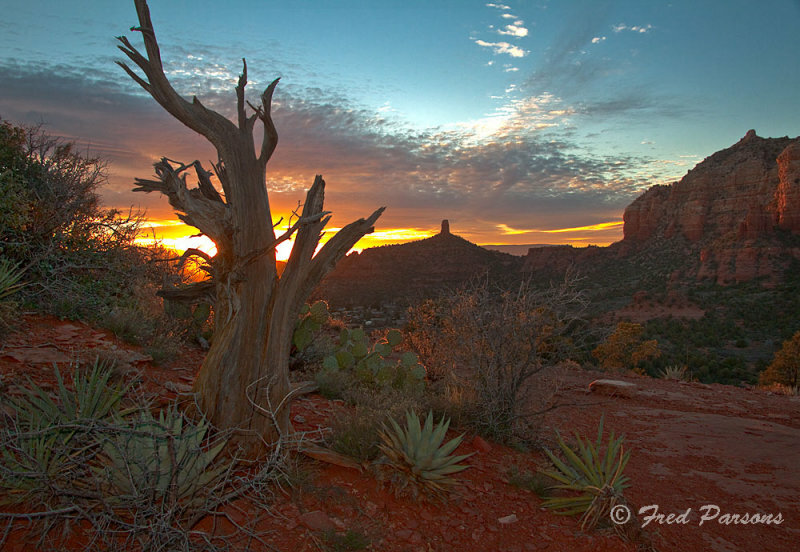 Sugarloaf is a mound that rises in front of the famous "Coffee Pot"
rock in Sedona. This is looking west from up there at "Chimney Rock". Cool shot, Fred. Great sky!